Create a Facebook event 1-2 months in advance! Events are free to make and are a great way to share information with your followers. If you have a budget for social media marketing, boosting the event can help get it in front of people outside of your existing audience. This is a good option for those who understand Facebook’s audience targeting options. 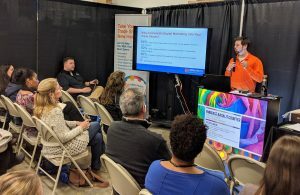 Let your clients, industry connections, and registered attendees know you’ll be attending the upcoming trade show with a strategic email campaign. An idea to consider is including a professional headshot and short biography of the employees who will be working your booth so people know who to look for. Print marketing is a worthwhile marketing tactic. Using the event list to mail out branded postcards with information about your booth is an affordable option to fit any budget. Pique the interest of those passing by with fun games, photo booths, and other engaging activities. Prize wheels are a great way to hand out branded promotional items. Photo booths can get guests talking about your business on social media. While you entertain, you can also educate guests about your products or services. Avoid the pitfalls of having a setup that directly blocks people from entering your booth space. Remaining behind a table or stand makes it more difficult to greet guests and communicate with the noise of the show around you. 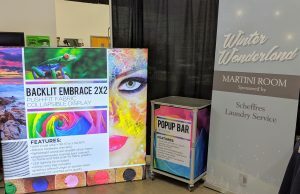 The more inviting your trade show display is the better! 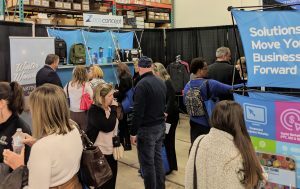 Trade shows are designed to connect with people. Don’t be afraid to let your personality shine! That being said, when it comes to choosing employees to send to work a show, consider those who are comfortable being extroverted. After the show is over, the work isn’t done. Make sure to follow up with all leads within a few days. Immediacy is key, but mass emails are not the way to go. Personalized emails demonstrate that you’re willing to put in extra time and effort into making a connection. Evaluate if you achieved your original goals and make notes about things that went well and areas of improvement for the future. Increased awareness of your brand’s presence at a show. Engagement with owned media such as your website. If your brand needs advice for your next trade show, creative promotional product ideas, engaging displays, or help executing a thorough marketing campaign, then get in touch with the Millennium Marketing Solutions team. We have departments that specialize in areas of marketing ranging from promotional products to digital media. 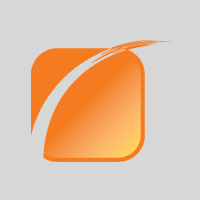 They work together seamlessly to deliver solutions for all your marketing needs.